Have you ever read a book and felt healed by it? Most readers can think of a novel that offered some comfort, a poem that presented direction, or even a biography that provided inspiration. 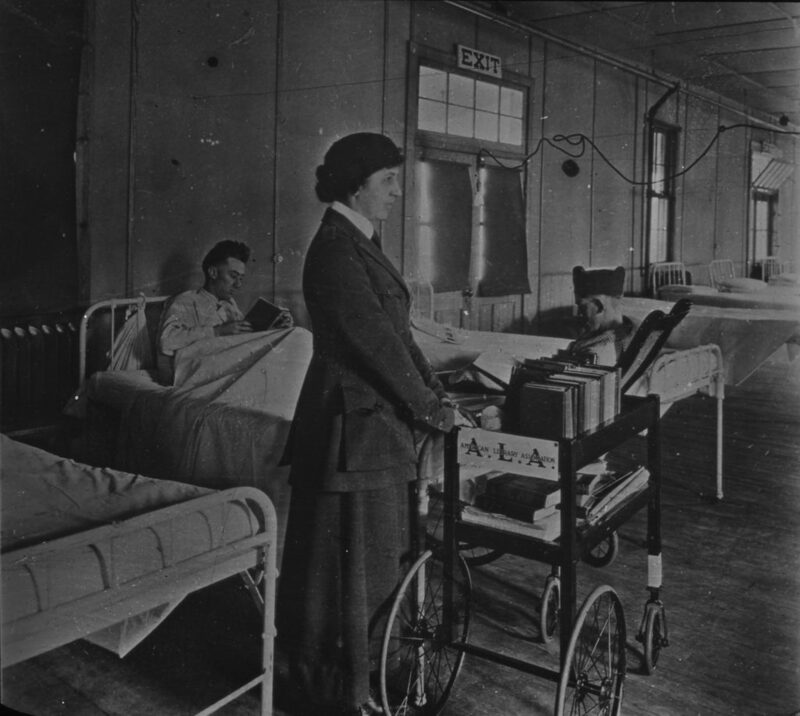 The notion that books can heal is as old as reading itself but, during World War I, doctors and librarians joined together to apply reading as a form of therapy… This online exhibit is part of an exhibit on World War I and bibliotherapy on display at the Homer D. Babbidge Library at the University of Connecticut. This content was selected for Digital Humanities Now by Editor-in-Chief Anne McDivitt based on nominations by Editors-at-Large: Brian Ganter, Laura, LAURENCO NKATA, Bissan Rafe Duz, Priyanka Menon, Stacey Chandler, shu@iowa, Taylor Diken.